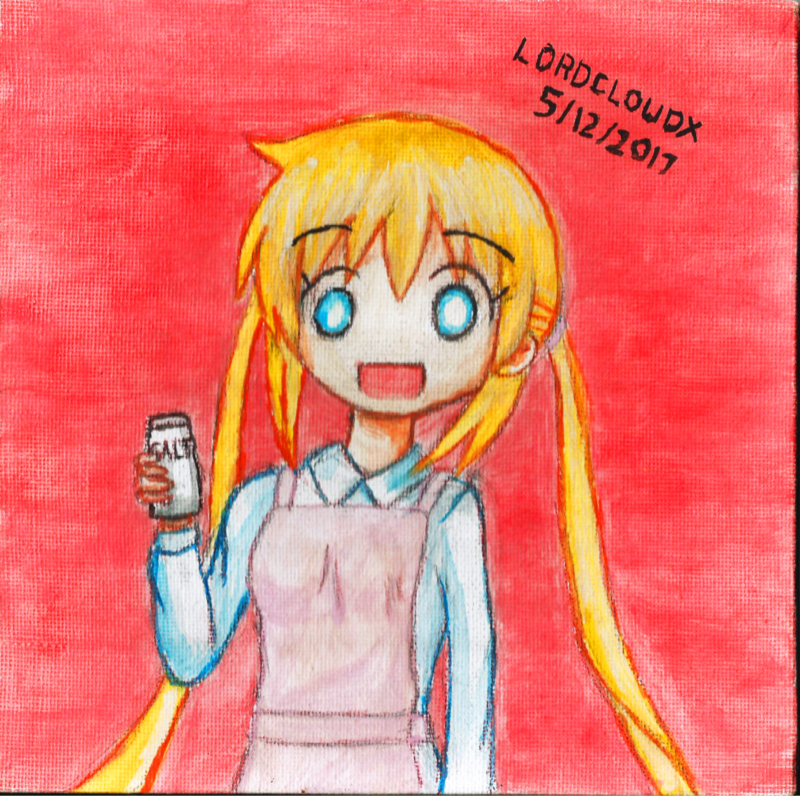 I actually followed someone else's art style for this one. 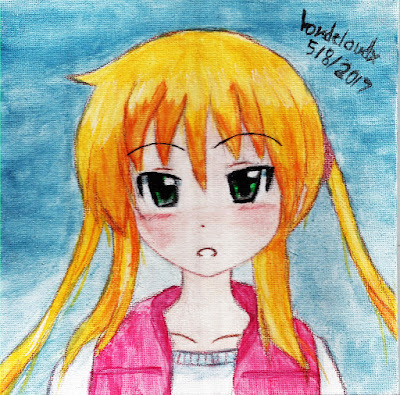 I just love the way the artist drew Nagi's head and expression. Making her look all sparkly was my decision. Greetings! It's a Wednesday in Japan and if Hayate had not ended, it would have been published today in Weekly Shounen Sunday. By the way, Hayate no Gotoku Volumes 51-52 limited editions are now available for preorders from your favorite international online hobby stores. Grab em while you can -- this is the last time after all. Also, White Cat Nagi is now available from Orca Toys too. No delays this time. 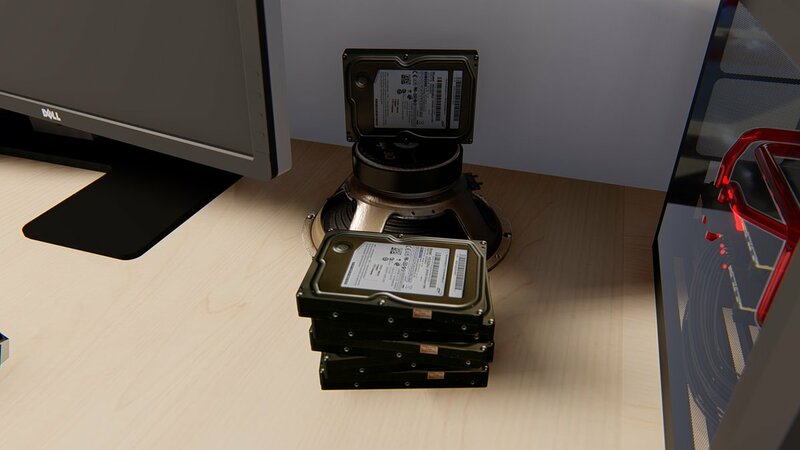 Mine has already shipped. So for this week's blog post, I'd like to talk a bit about Maria's departure from this series. Naturally, I am talking about the last time we see the real Maria and not the one in the Royal Garden who was obviously not the tangible Maria that we have come to know throughout the series no matter what your unsupported delusions might lead you to believe. Anyway, the last time we see the real Maria is in chapter 558 and since I am always the holder of controversial minority opinions (proven right for once -- thank goodness), for this week I'd like to put forth a few points to show that Maria's departure from the series was not really abrupt and that her character development cycle was complete -- even if she may not have been given the screen/panel time that many of you wanted her to have. 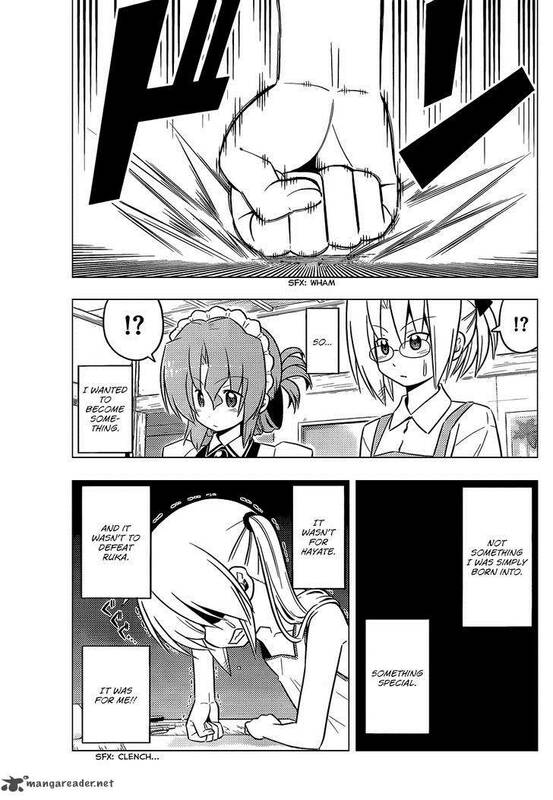 Like I mentioned in my review for the final chapter, "full circle" is a constant theme in Hayate no Gotoku!. In fact, it is more like a motif of the series in how so many things come full circle either at or near the finale. In Maria's case, her role came full circle back in the penultimate level 5 arc in my opinion. It was at this point in chapter 515 when Nagi beat her in a direct game for the first time when Maria had a realization. This realization would be voiced by Maria later on in chapter 519 when she acknowledges Nagi's growth. 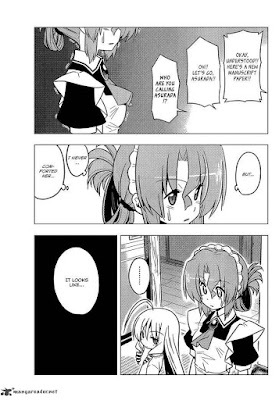 This is also a good time to point out that Hayate is in total denial of Nagi's growth and the reason is pretty clear now -- he wanted an excuse for Nagi to need him because she was his raison d'etre after all. Maria's role was actually established as early as in chapter 2 0f the manga and even in the prototype one-shot manga of Hayate no Gotoku! 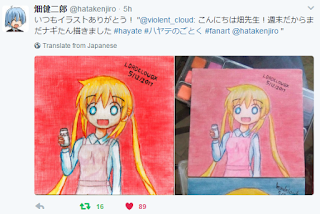 While Hata has shipteased her several times with Hayate and perhaps even hinted at his blog that Maria was in the "strike zone," when the story of Hayate no Gotoku! is taken as a whole and by itself, Maria was always meant to take on the role of a confidante -- as the bridge between Hayate and Nagi. This is why she is the only person who actually knew of the misunderstanding for a while until it all came to light through an explosion of negative emotions from Nagi in chapter 561. 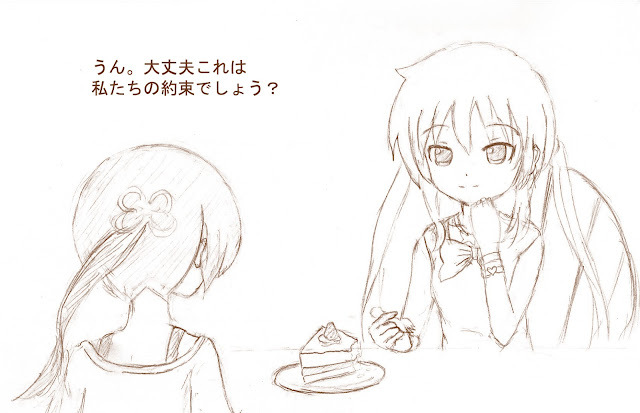 Any hints of a "romantic development" between Hayate and Maria were never really "developed," as far as the plot of the story goes. It was always just shipteasing moments here and there which were never really explored. Could they have been explored? Most certainly, and the story could definitely have taken a different direction... but it didn't. Hata chose to stick with the pre-defined path that the story had been logically and consistently following all along and for those of us who saw this path -- he struck gold. For people who were in constant denial of Nagi's viability as Hayate's eventual romantic partner -- well, stay salty as always. 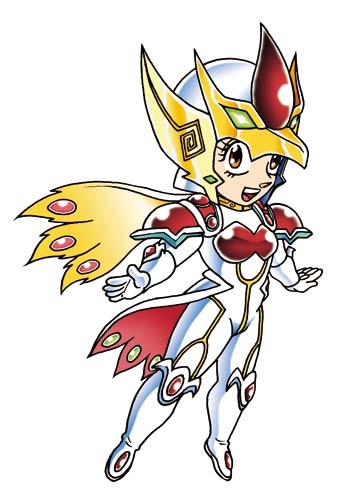 Maria was admittedly largely underused for a majority of the story. Her first major breakthrough actually came in the Mangaka Arc or what the fanbase might call the "ComiSun arc." Anyway, call it what you want. Let's not be pedantic about names. This was the point wherein she first began to contemplate her role in Nagi's life -- and course, her own life as well. In my opinion, she was probably thinking about what her existence meant beyond Nagi -- something which she confirmed in her own finale as she finally quit being Nagi's maid. Meanwhile, it's an excellent contrast to Hayate who had explicitly anchored his existence to Nagi's well-being. Unlike Maria, because Hayate had not been paying enough attention to Nagi's amazing growth throughout the series (and because he was fooling around with other girls at these key moments), he could not accept it when Nagi's maturity hit him square in the face. While I cannot pretend to know what Hata was actually thinking without his official declaration, I can make an educated guess that chapter 558 was really meant to be Maria's finale -- and for me it was sufficient. 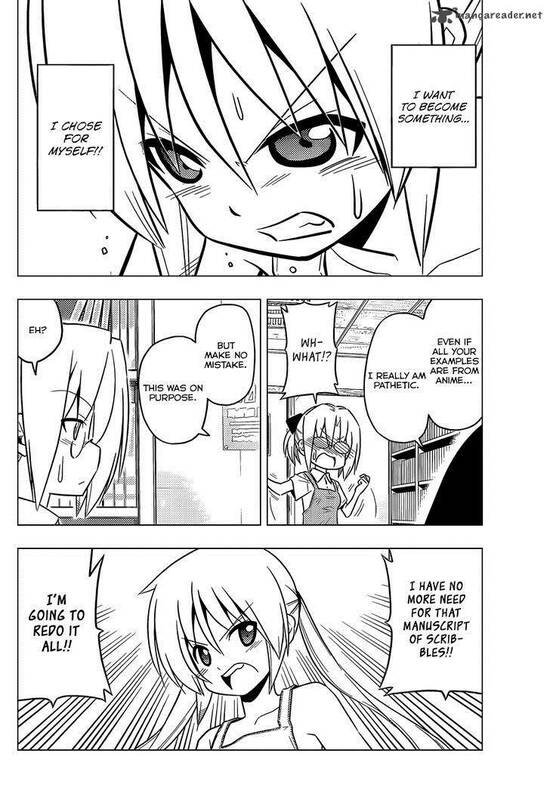 In chapter 554, Maria had declared to Hayate just a few chapters prior that she would quit as Nagi's maid. 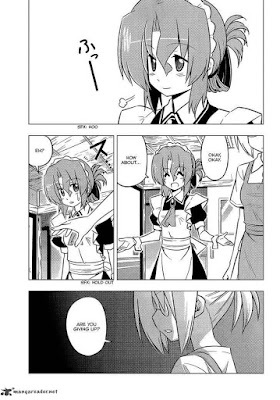 This time, Hayate is confiding to Maria that he now knew about the misunderstanding and tells her of his plan to quit as a butler after he's secured Nagi's inheritance for her. To also ensure that Nagi would not be lonely in the future, he tries asking Maria to stay with Nagi. 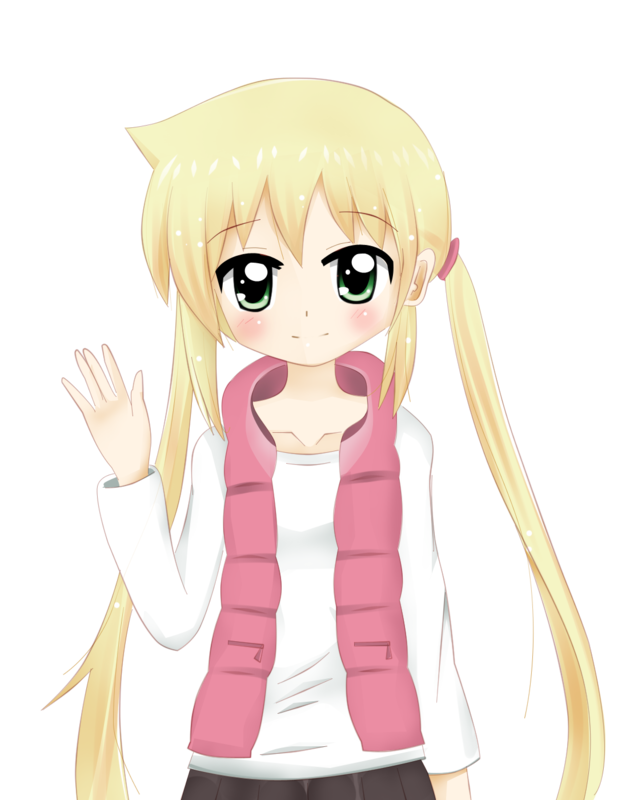 Instead, when Nagi suddenly comes up to them as they are talking, Maria reveals her plan to quit on Nagi's 14th birthday. Now many people saw this as irresponsible on Maria's part, but I must disagree. Maria was a confidante, but she was always a third party in the relationship between Hayate and Nagi. What Hayate sought in Maria was an easy way out -- and frankly, Maria had no obligation whatsoever to grant this to Hayate. This is especially true when Hayate himself was trying to be evasive and could not even properly sort out his feelings for Nagi. This, I believe is partly why Maria cut off his options. (again, the flow of the story would prove my assumptions correct). Her other reason was more personal. She did not want her existence to be tied to Nagi for the rest of her life. It would not be healthy for both of them. Maria being psychologically dependent on Nagi needing her and Nagi needing maria for physical and emotional support. Yes, the same could be said of Hayate as well -- which is why this much was also addressed eventually, but I've already discussed that matter before. In any case, finally, in chapter 558, 10 chapters before the finale of the story, Maria says her goodbye to us, the readers and to Nagi as well. 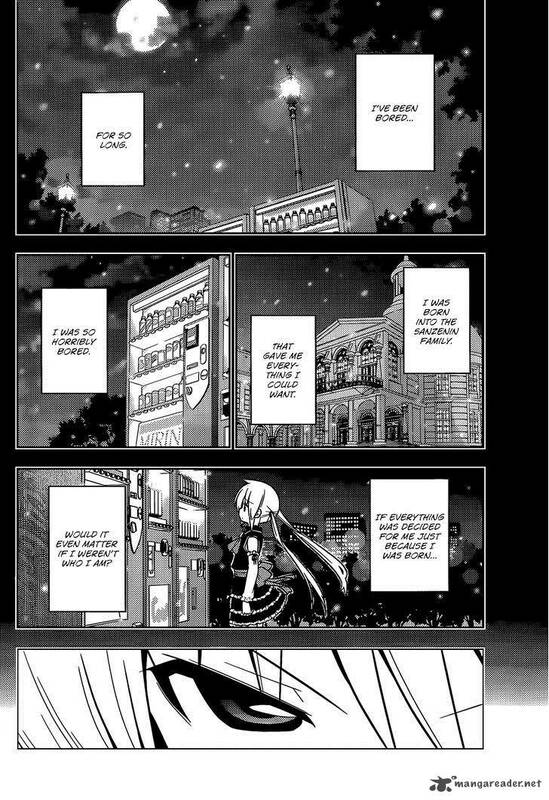 There is a definite air of finality to this chapter and I found it really beautiful despite the sudden timeskip. The throwback to the comedy of S1 of the anime with the absurd talking dragon fish and the references to the amusement park mascot from Nagi Nagi Land felt really nostalgic for me. It was a chapter of just Nagi and Maria having fun, but somehow, their roles were reversed. Maria was being impulsive and playful, while Nagi was getting fed up with her antics and scolding her. Her role in Nagi's life had come full circle back in the level 5 arc and this final chapter was confirmation of that. We see it not just in the words they say, but in their expressions. When Maria looks at Nagi as they are both drenched in the water -- her eyes were saying "thank you and goodbye" at the same time. I really love the way the words were phrased in Nagi's narration after that as well. "Just like the wind, she disappeared." For me, there could not be a more fitting ending for a character as mysterious and beautiful as Maria was portrayed to be in this series. With that said, I would not have been against seeing at least just one panel of what Maria was doing in the final chapter, 568. While I don't believe that it was necessary, it would have been nice. Please do not think that Hata is a horrible author if some degree of introspection from the reader is necessary in order to derive some enjoyment from his works. That is just the way some authors roll. It doesn't make Hata a bad author, it just makes you a reader who doesn't like his works. I for one am happy that in this world of instant gratification and the need for concrete evidence in order to justify an assumption -- that there are still writers like Hata who can tell a story without needing to declare something explicitly. Nagi: Here, my haters... I think you could use some more of this. I should talk about Hisui and Nagi at some point. 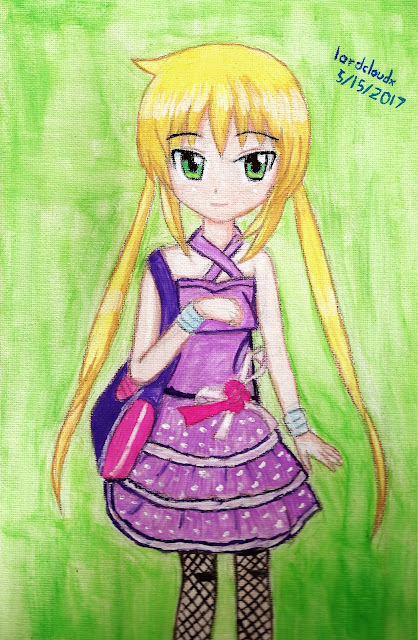 Not too happy with how this turned out... but I guess it's not that bad. Also scored another retweet from Hata~! That's it for now! See you next week for sure~! lordcloudx out. Maria's departure was definitely needed for the trio (Hayate, Nagi and Maria), for their​ full development and I'm glad Maria went on to discover her abilities and to achieve whatever she is capable of achieving. While she might have departed, I'm pretty sure the trio will meet again, only we won't be able to witness it. Yup, Hata definitely leaves a lot to the imagination without any definitive, concrete events for a lot of subjects in the manga. With that said, I think that with just a little bit of interpretation and I mean the minimum amount you'd need to read and understand any classic work of fiction, no questions were really left totally unanswered and there is enough evidence in the text to draw our own conclusions. 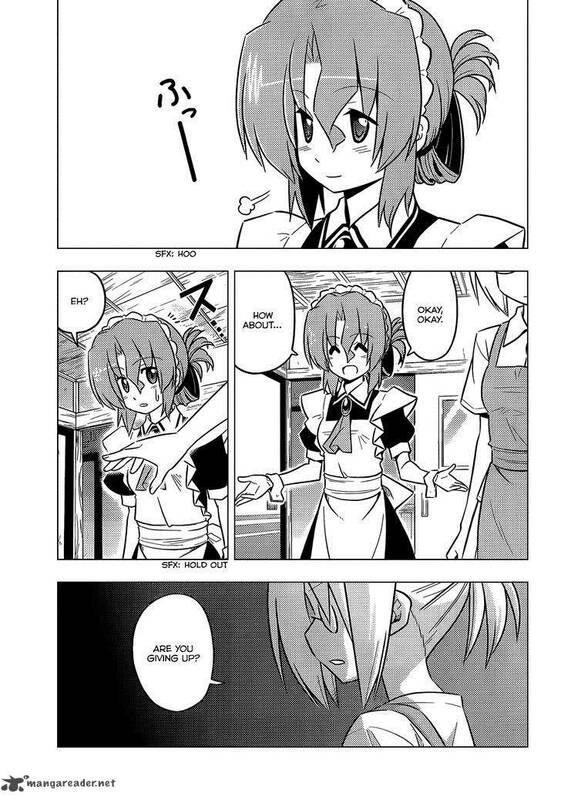 Hayate Reflection: Hisui - The Epitome of Evil?